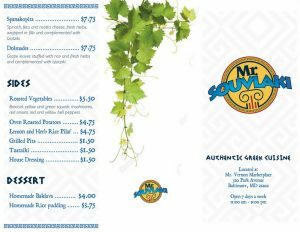 Mr. Souvlaki features both American-style and authentic Greek style gyros, freshly prepared roasted vegetables, and tender marinated souvlaki. 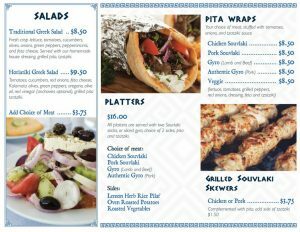 For Mr. Souvlaki, fresh & authentic is the key–everything including side dishes & sauces are all made from scratch! End your meal with a tasty baklava or rice pudding. Opa!